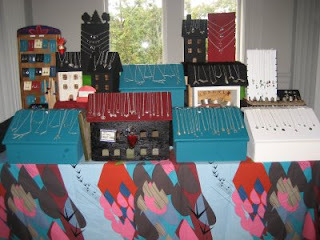 We recently got back from the TWIST FAIR in Northampton MA. It was a two day show. Artists showed their work Friday night and all day Saturday, September 5th and 6th. It was held at the Center for the Arts right in downtown Northampton. We are very happy to say that it was a great experience. 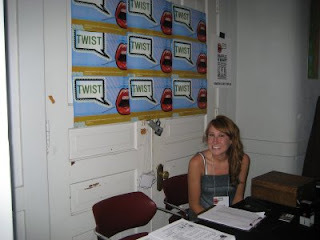 Twist was organized by Lexie Barnes, an artist from Northampton. 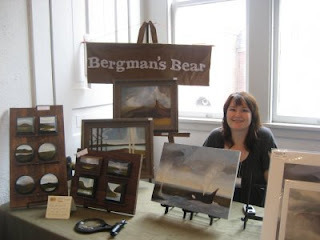 Over 50 artists and crafters from New England exhibited their work. There was a really interesting mix of cool crafts and fine art. Some exhibitors were showing their work for the first time and there were some seasoned veterans, including ourselves there too. 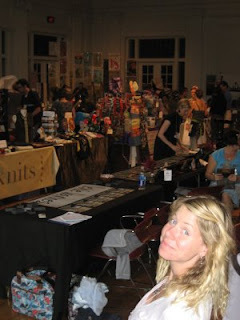 Some of our craftin' friends were there. 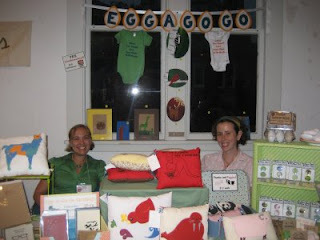 Egg-a-go-go with her wonderful mixed media paintings, from Somerville, The Crafty Scientist from CT, Carrie Bergman from Boston with her beautiful tiny oil paintings and Fern Animals, formerly from around our hood, Beverly MA, now Northampton residents, to name a few. The vibe at the show was great. The customers were enthusiastic and the vendors were happy to be involved is such a new exciting event. It was a really nice space too. High ceilings, big windows and lots of light. We also had the opportunity to trade some twigs for some really beautiful art. We will definitely do this show again (if they will have us.) Not only were the organizers friendly, but they were super helpful too. It was well publicized and we love the TWIST logo. Very Rocky Horror Picture Show, which is cool with us. They even gave us a free t-shirt and bag as we left. We just love seeing towns like Northampton embracing the arts and craft scene and doing something different with a show like this. Word will definitely get around that this was a great place for artists to sell their work. Let us be the first to sing their praises.